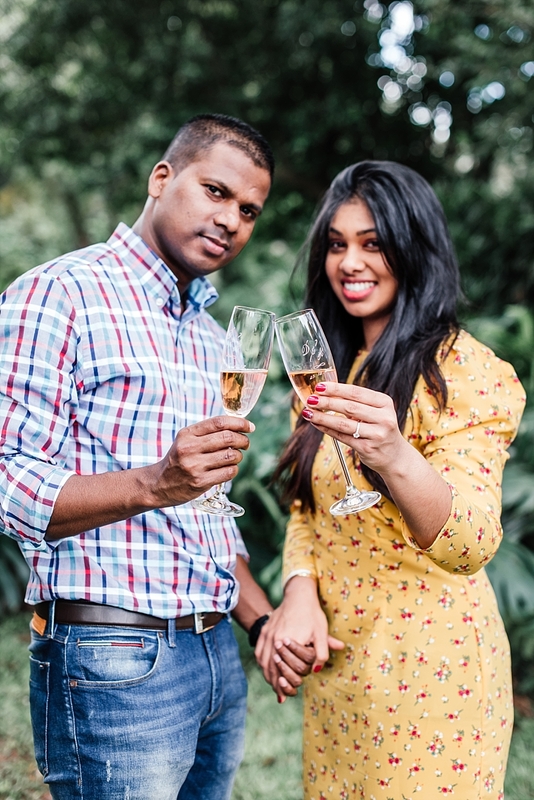 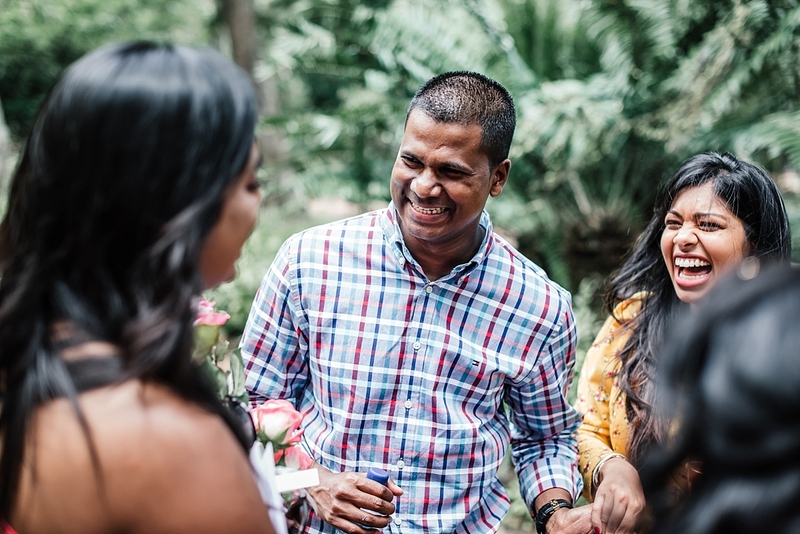 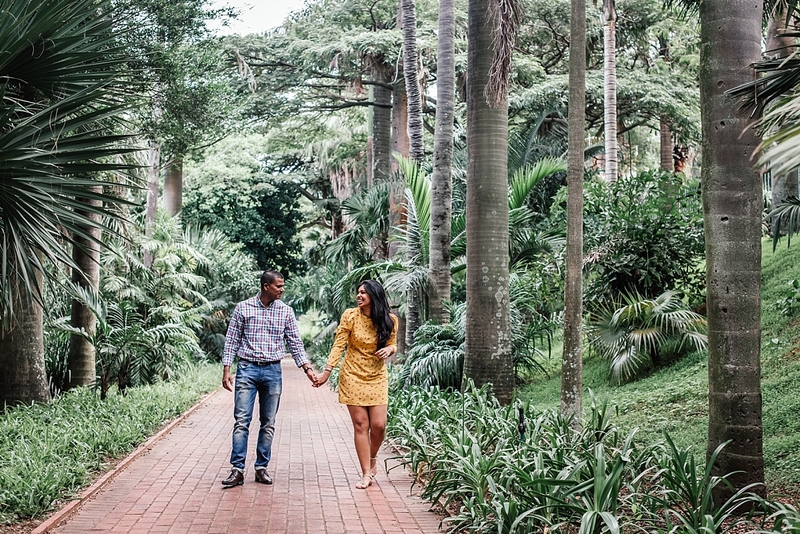 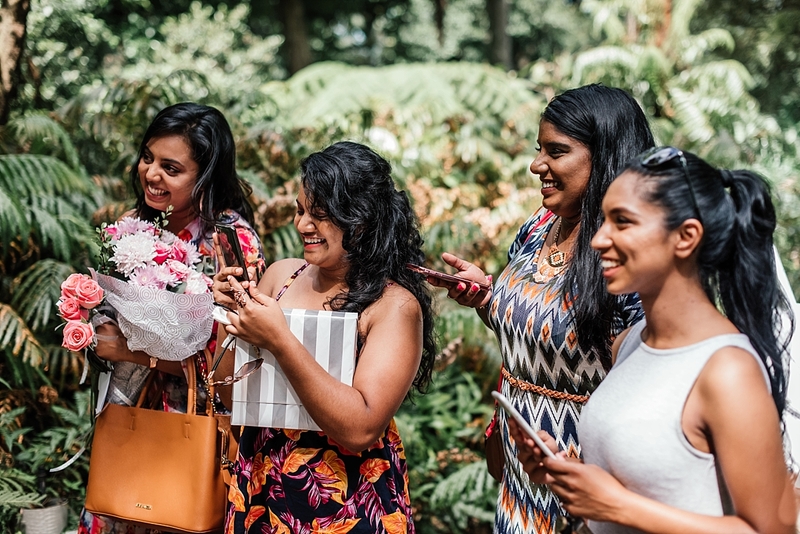 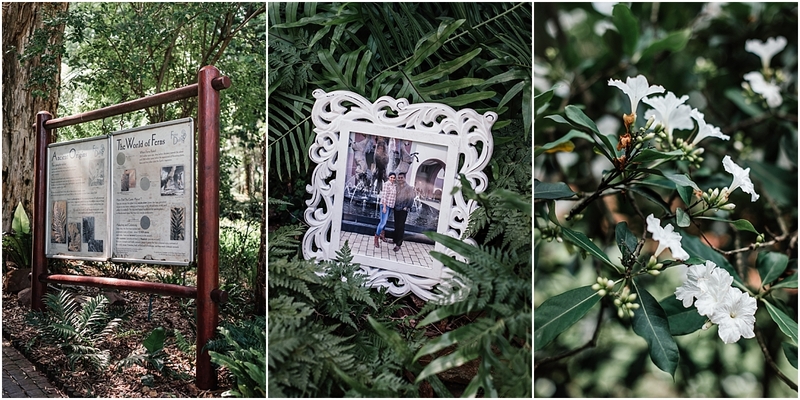 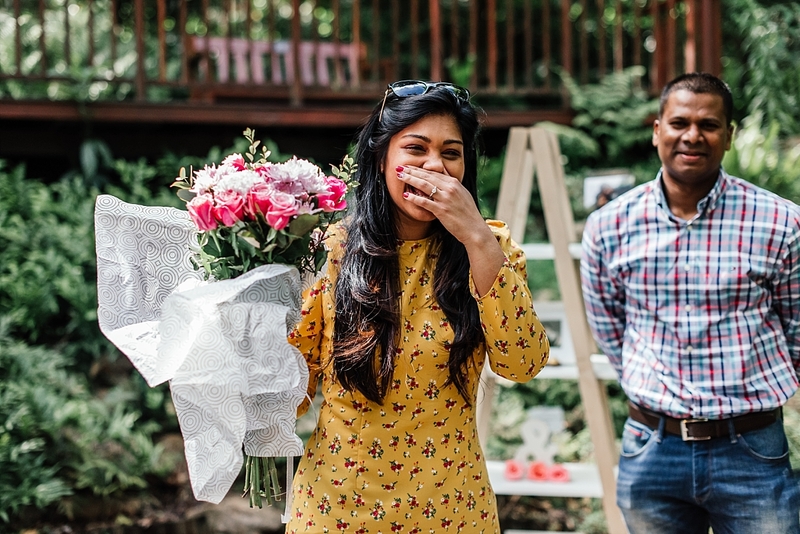 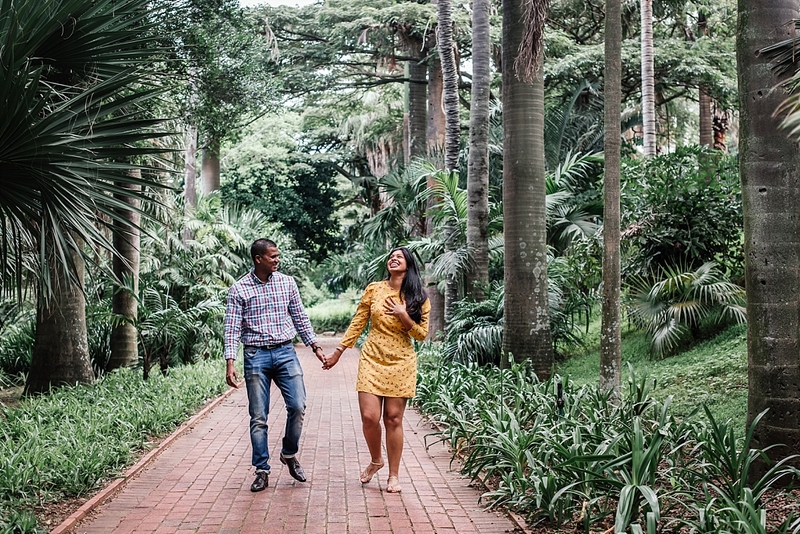 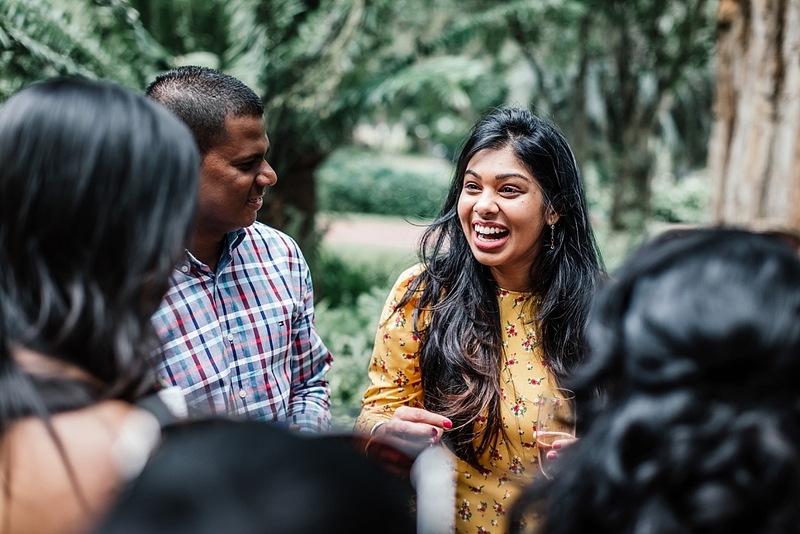 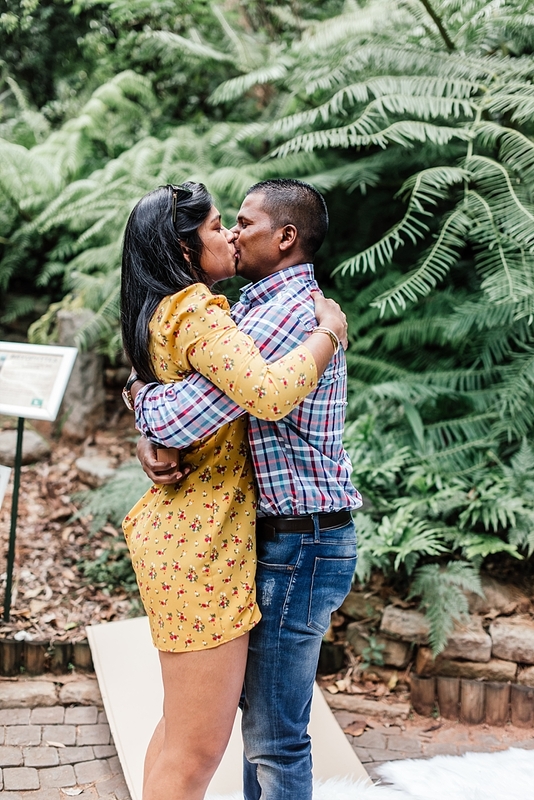 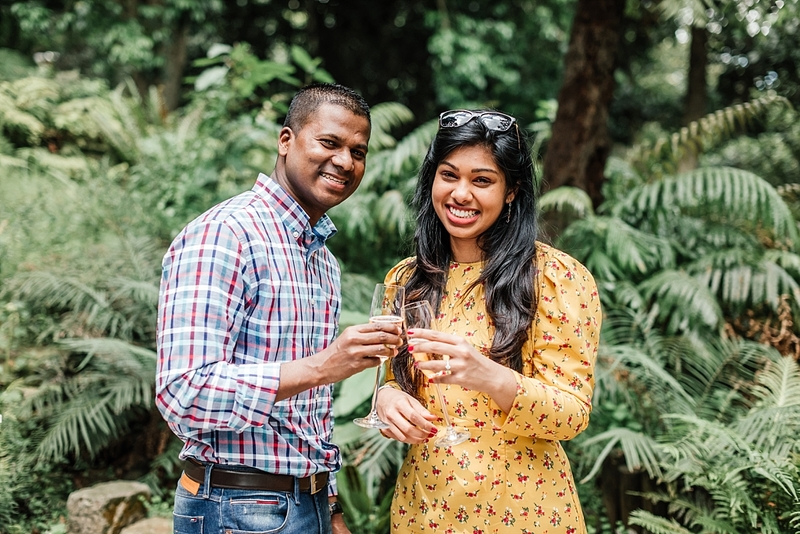 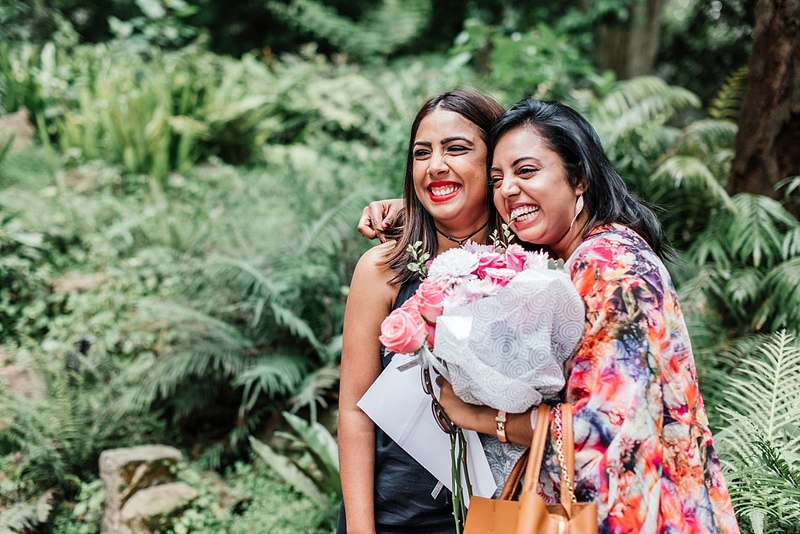 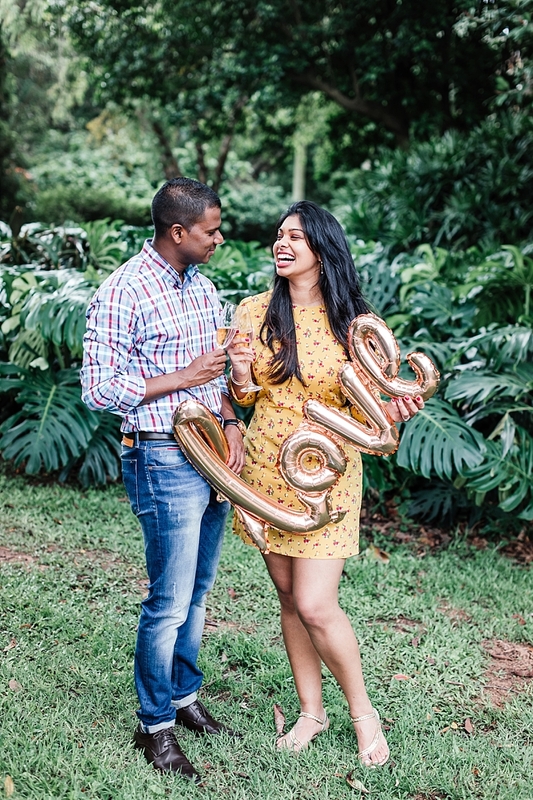 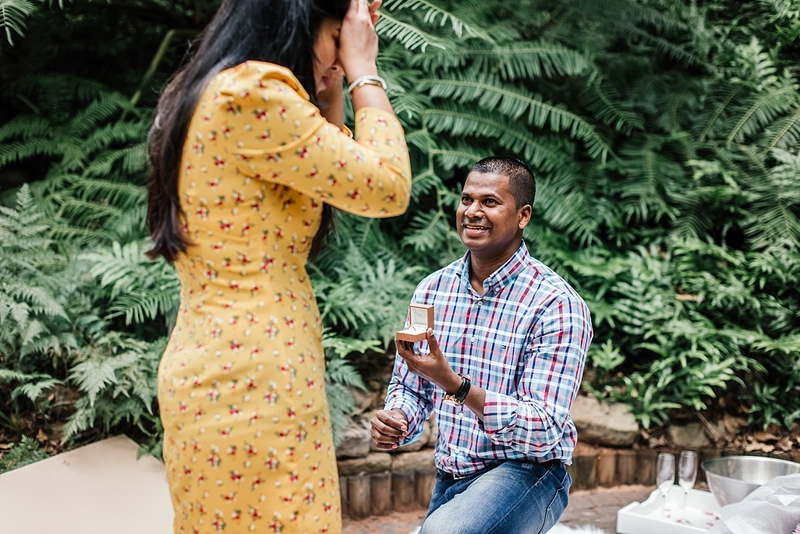 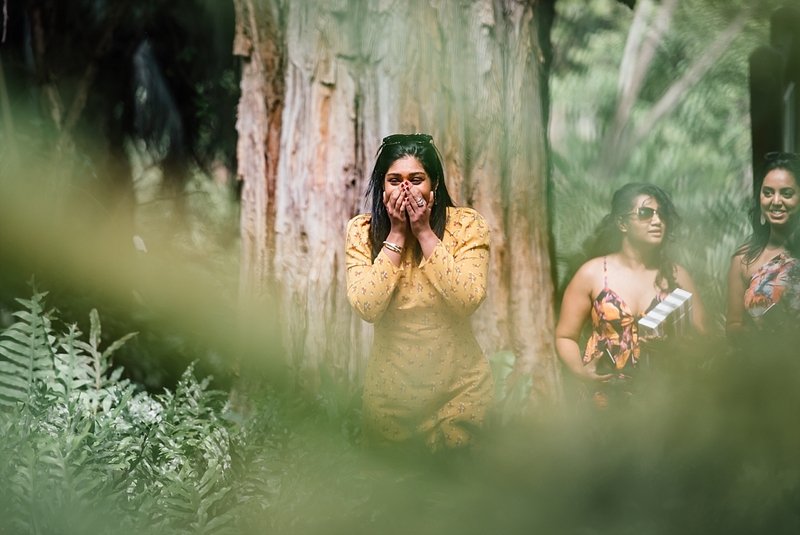 A couple of weeks ago I had the great pleasure of being part of Desigan & Annalene’s surprise engagement at the Durban Botanic Gardens. 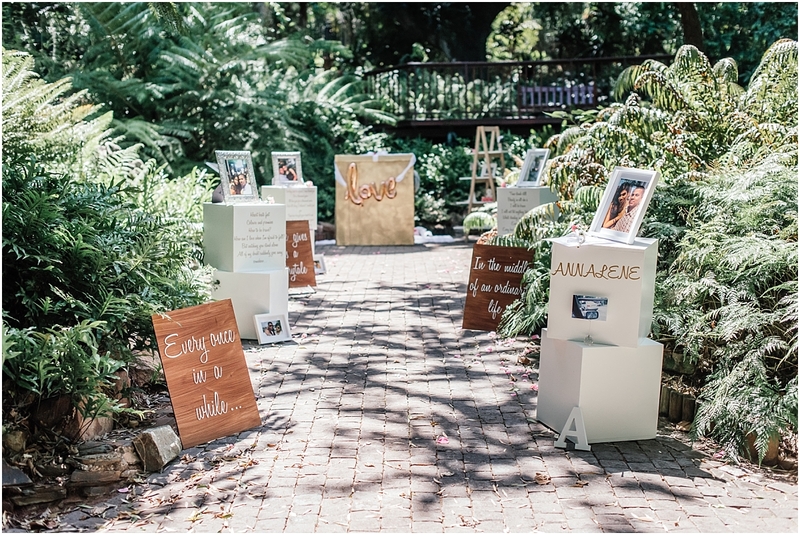 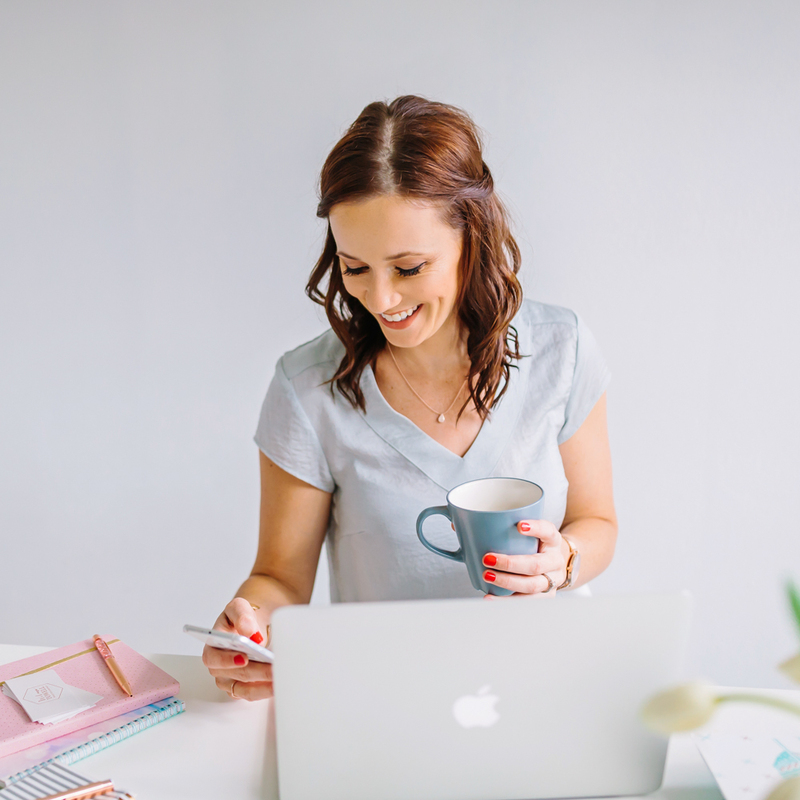 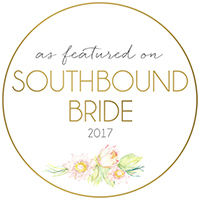 Desigan had planned everything with the help of the talented ladies of Posh Events. 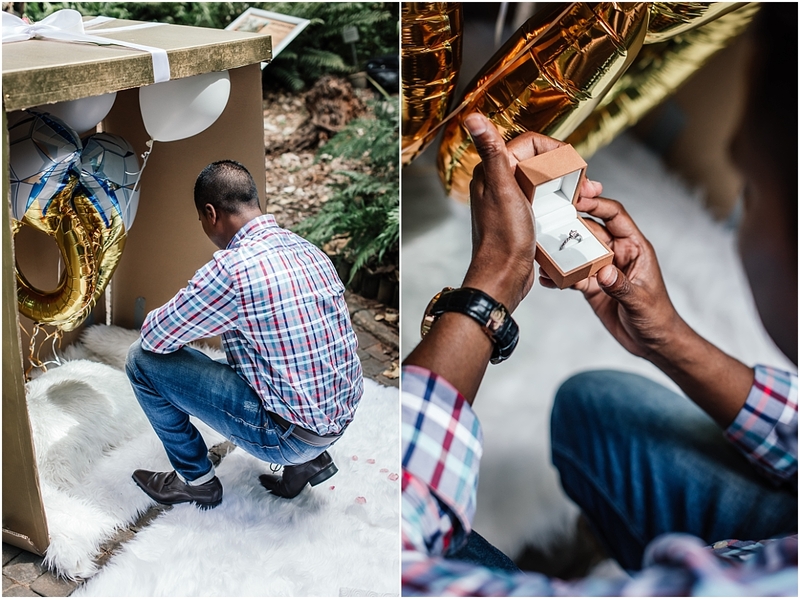 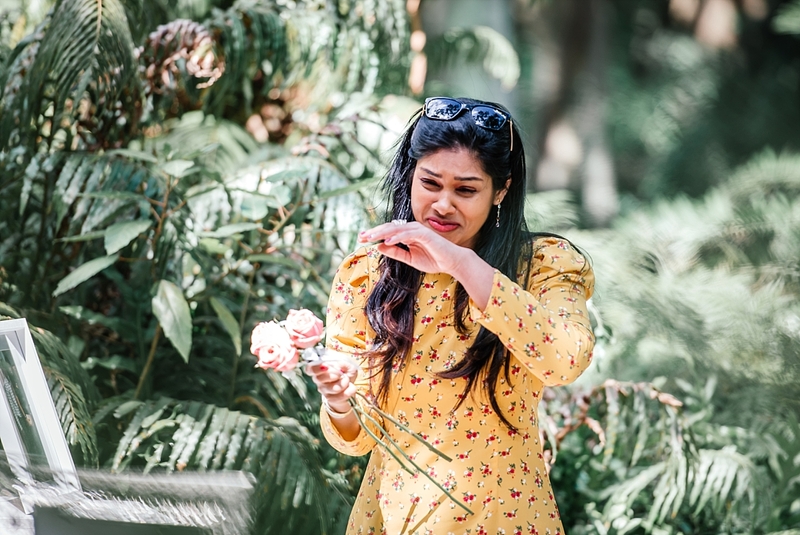 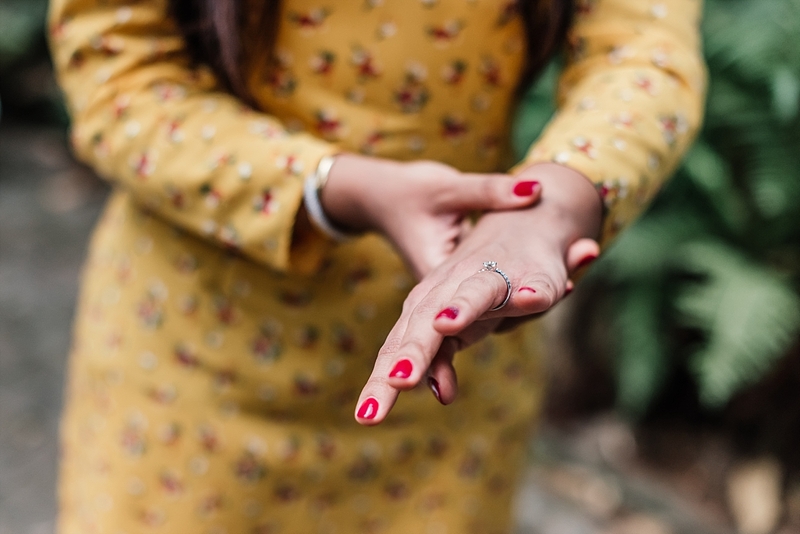 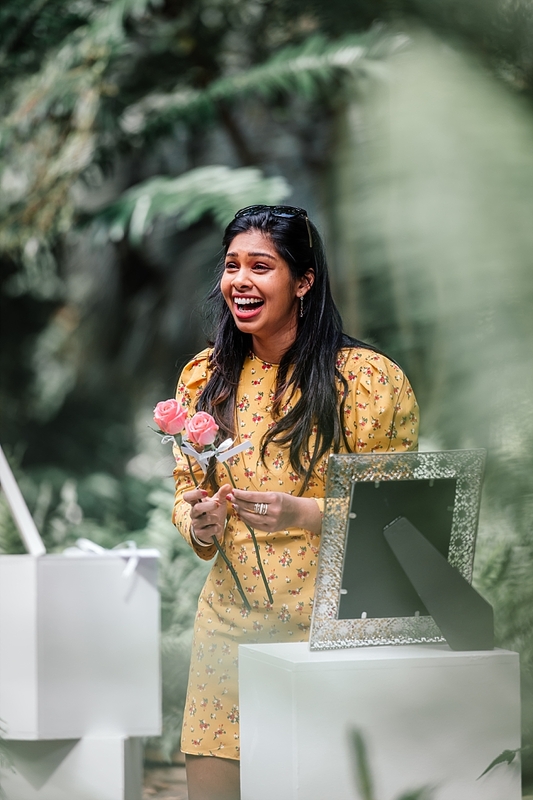 They created the most beautiful little set up with lots of pictures of the both of them, lyrics of their favorite song, little notes and roses, all leading up to a big golden box in which Desigan was kneeling with a beautiful engagement ring in hand. 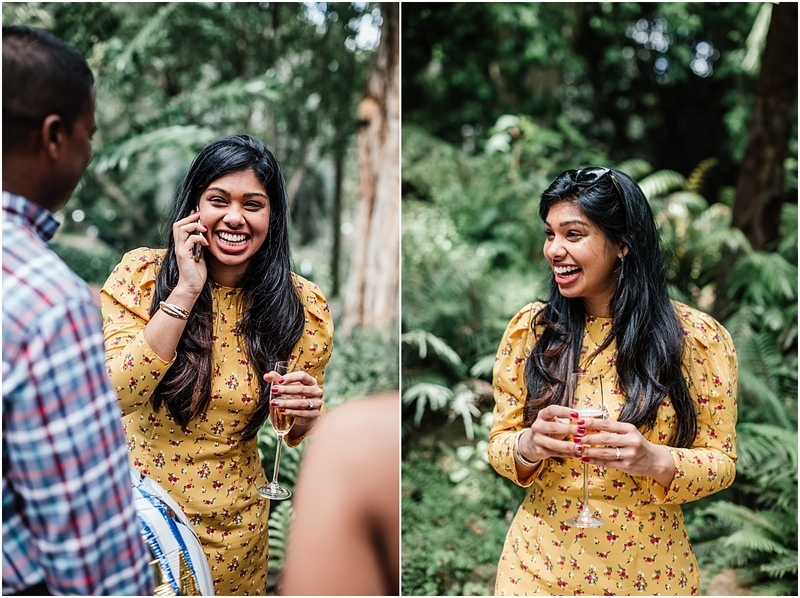 Some of Annalene’s best friends where hiding in the bushes with us, and 2 other friends were in on the surprise and told Annalene that they were all going to someone’s babyshower at the botanic garden. 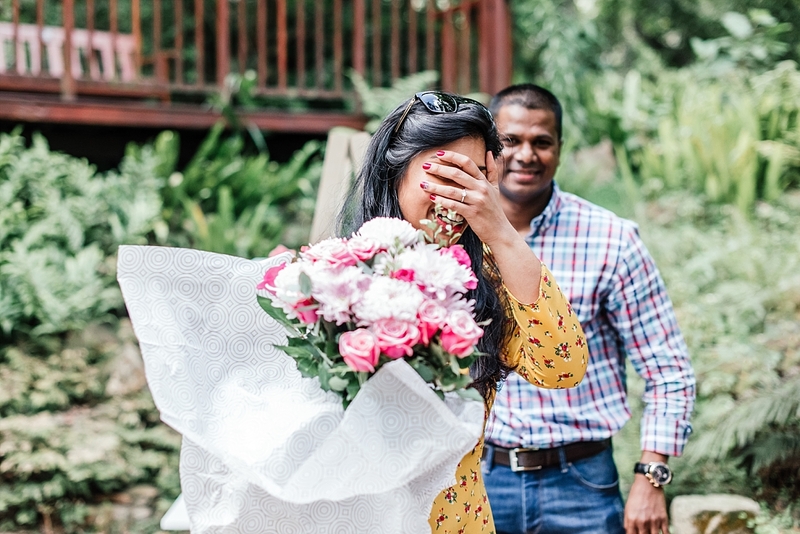 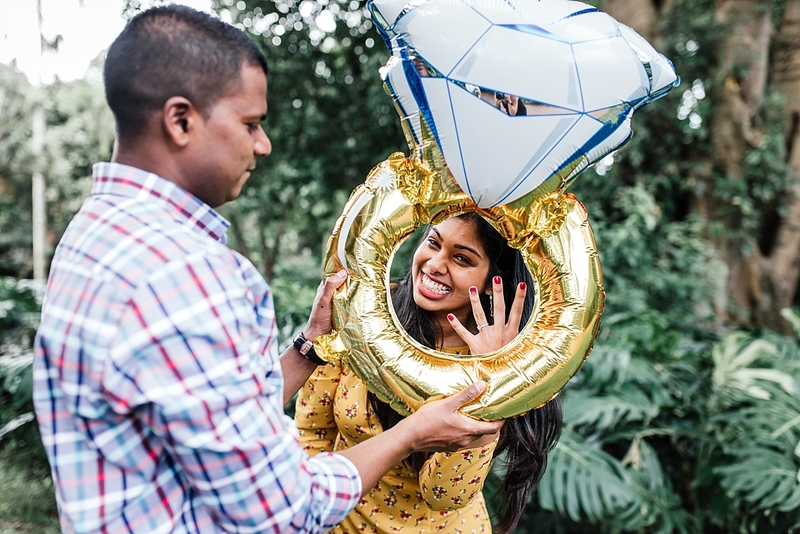 The look on Annalene’s face when she saw everything that was set up for her was priceless and after Desigan proposed both of them just beamed from ear to ear all morning. 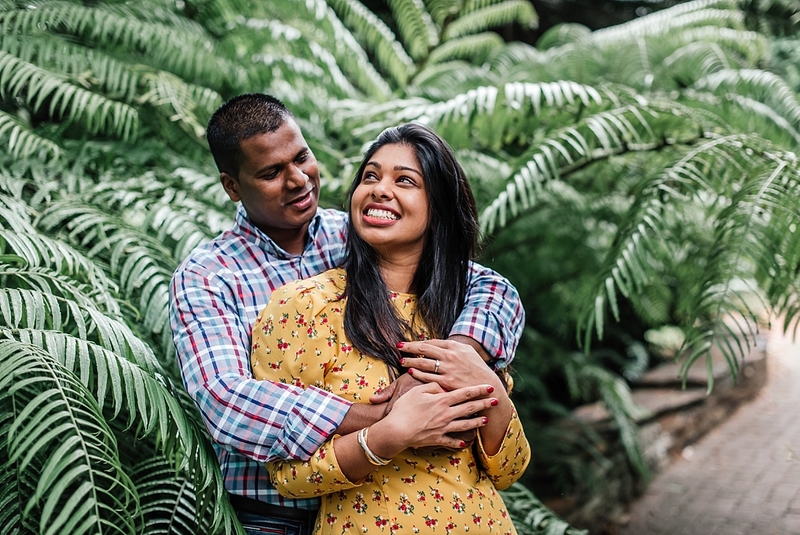 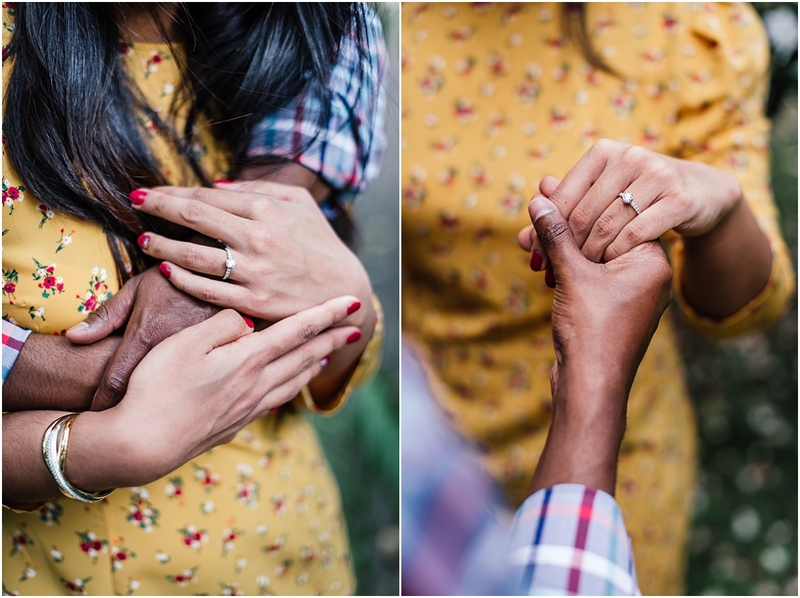 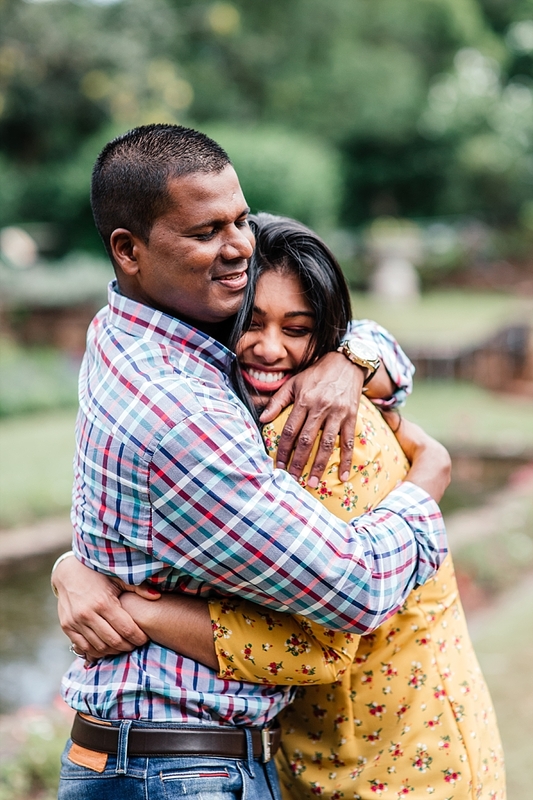 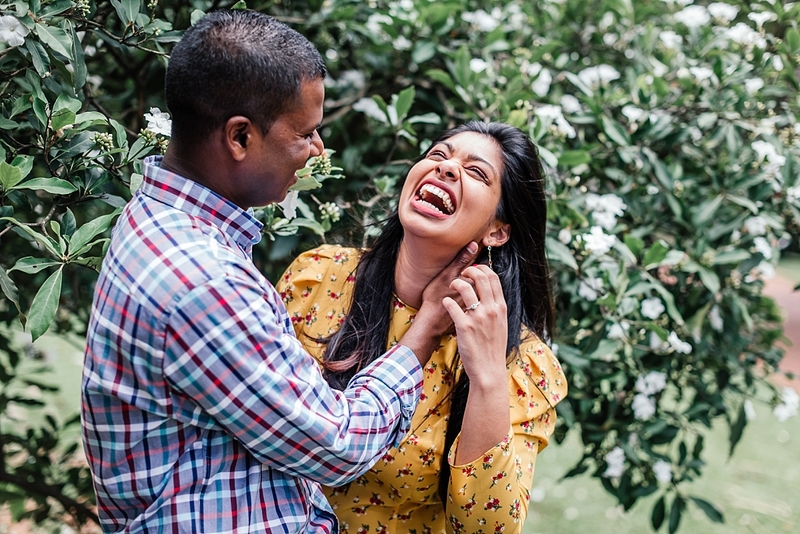 We sneaked away for a little couples shoot and the love between those two was just the most amazing thing to watch. 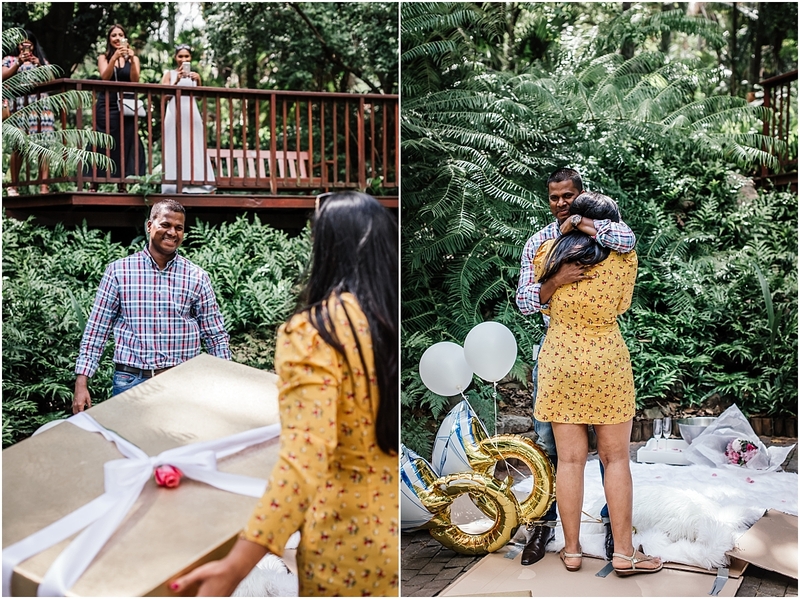 Desigan and Annalene, thank you so much for allowing me to be part of this special moment in your lives. 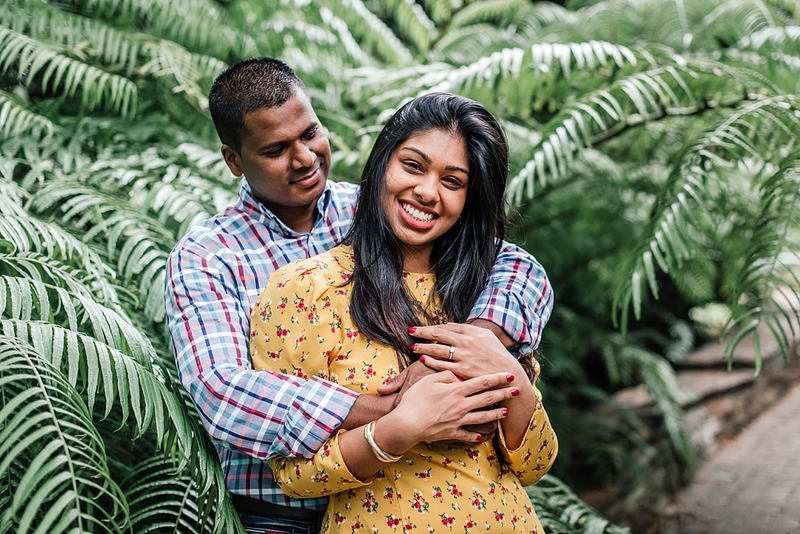 I wish you guys all the best for your future together, enjoy all the wedding planning!